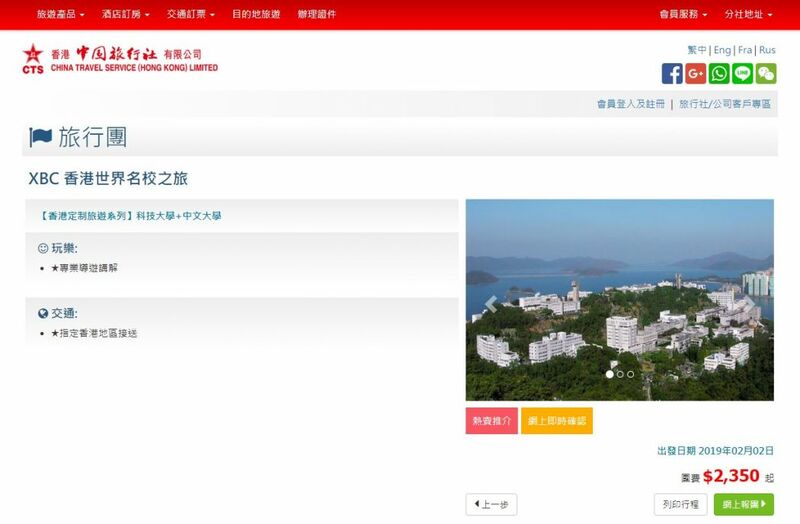 The Chinese University of Hong Kong (CUHK) student union says it is concerned over the growing number of unauthorised tourists visiting the campus. Large numbers of visitors in uniformed groups have been coming to the campus on coaches, the union said in a statement on Thursday. 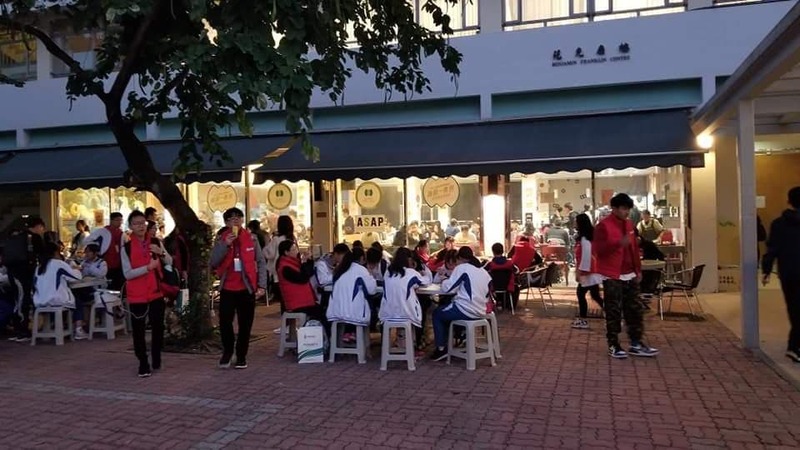 According to the union’s president Owen Au Cheuk-hei, the groups arrive every few days to tour the university, take pictures and use canteens designated for CUHK students. Tour groups eating at a canteen at Chinese University of Hong Kong. Photo: Owen Au Cheuk-hei. CUHK has not been receiving applications for organised tours on campus for external parties and has agreed to handle the issue, according to the union. A tour group at Chinese University of Hong Kong. Photo: Owen Au Cheuk-hei. 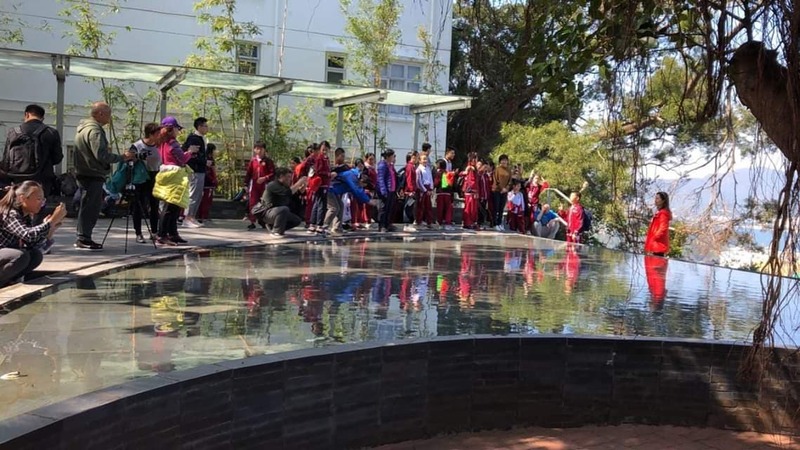 One travel company advertised a five-hour guided tour around the CUHK and Hong Kong University of Science and Technology campus for HK$2,350. The tour is self-catered, meaning that participants would have to buy or prepare their own meals. Another company organised eight-hour day tours around multiple universities including CUHK, along with other activities for HK$125-139. 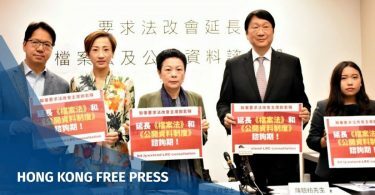 “We stress that our campus is not a tourist spot, but a place where we perform research, study and live,” CUHK Student Union said, adding that they are following up on the issue. 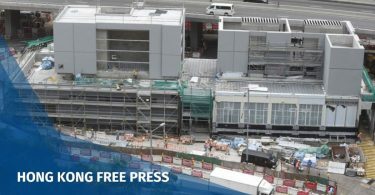 According to the Hong Kong Tourism Board, the city welcomed 5,995,027 tourists last December – the majority of whom were from mainland China, with 4,631,378 visitors. The second largest group were from south and southeast Asia at 361,980 visitors. HKFP has reached out to CUHK for comment.